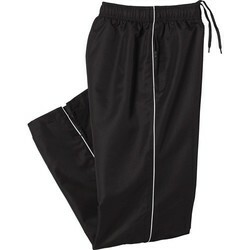 Water-repellant track pant features coil zippers on upper pockets and back welt pocket, plus a hidden zipper opening on lower leg. 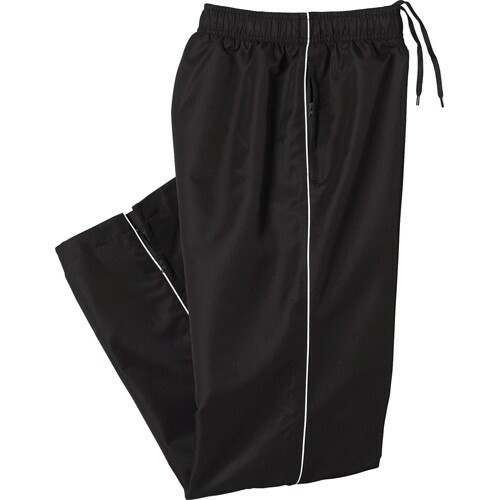 Comfortable elasticized waist with adjustable drawstring. Embroidery ready. Available in two colors. 100% Polyester twill with water repellent finish. 150 g/m2 (4.4 oz/yd2). 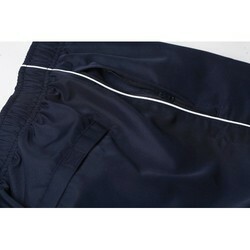 LINING: 100% Polyester mesh. 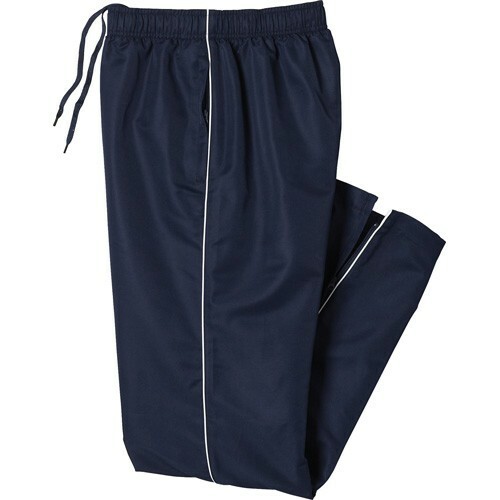 100% Polyester taffeta lower leg. Minimum quantity required for decoration order. Price Includes first location run charges. All options not available on all colors.